So when I attended the International Home and Housewares Show in Chicago recently, I walked by hundreds of booths. Most of them had dishes or cookware or kitchen gadgets, which I enjoyed inspecting. But, being the foodie I am I was happy to find a corner of the show that had some great gourmet items. 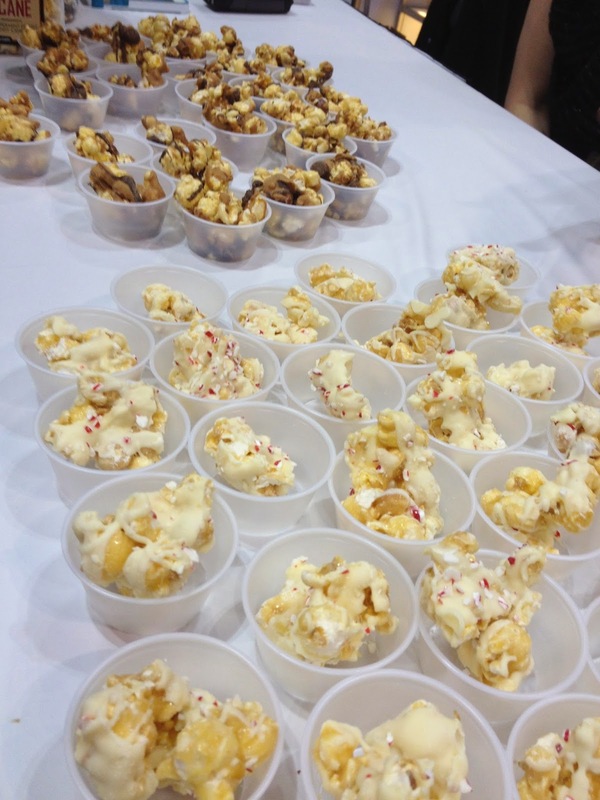 One was FunkyChunky gourmet popcorn, which was awesome! I tried out the peanut butter cup popcorn which was delightfully decadent! It was coated with sweet, quality ingredients and I'd have no problem downing a whole package. The hand-drizzeld popcorn and pretzel twists are crafted in Edina, Minnesota, which I am familiar with. My dear Aunt Marilyn lives there and we've visited her a couple of times and loved the area. 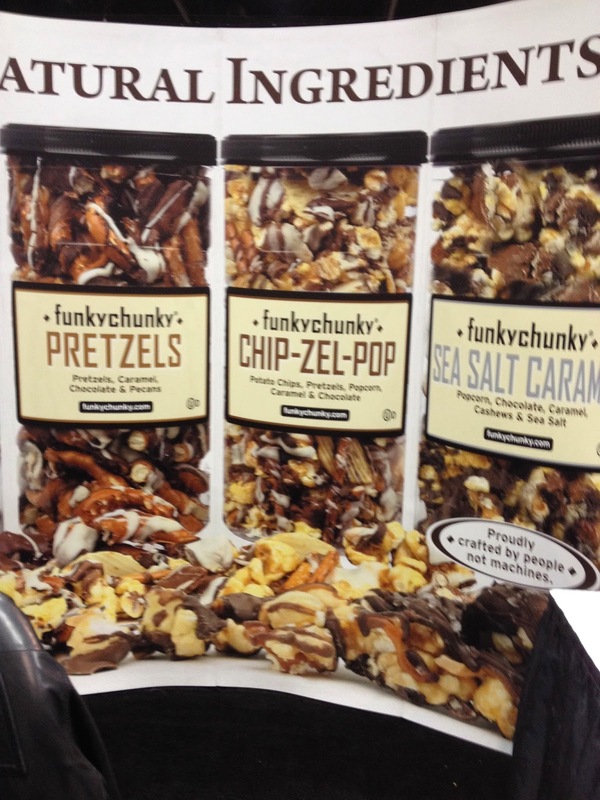 Check out the website www.funkychunky.com to see the complete product line and place an order.